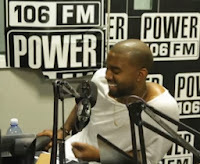 Power 106 says... "Kanye West was in with Big Boy this morning and WOW what an interview. 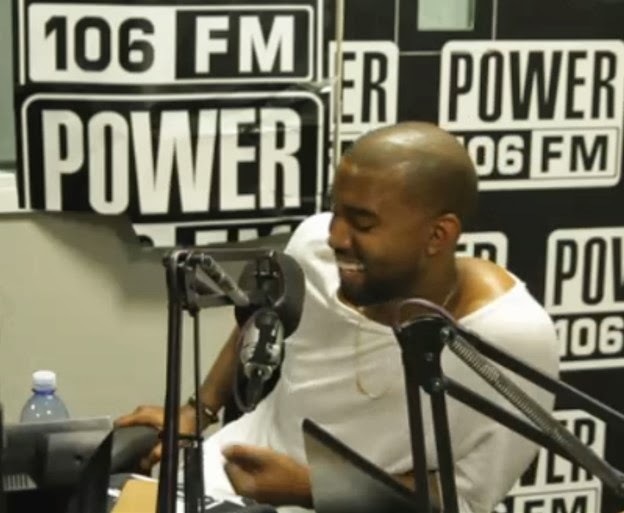 Kanye explains to Big his wedding plans, shows us his smittin' side to his love for Kim Kardashian and also talks about fashion and social media." Besides freestylin' on the morning show, Kanye West says radio and TV stations are no longer in control. It's the Internet. We are moving to the future and he is going to be the anchor. While Kanye appeared on the Big Boy morning show on Power 106 in Los Angeles, he quoted a bible verse towards his haters by saying that "...no weapon formed against me will prosper!" All geniuses are considered crazy while they are alive. but frauds who get passed off as geniuses are crazy too,so are the people who champion them.